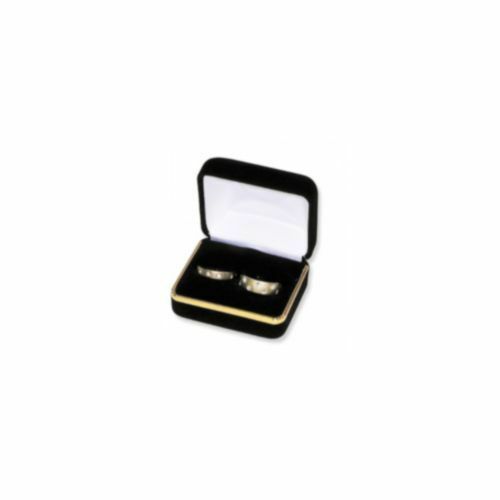 Features rich velvet finished metal boxes and inserts, as well as gold brass rims. Two-piece packer included. Dimensions: 2-3/8 x 2 x 1-1/2 inches.